When it comes to running a program like Head Start, it really pays to learn all you can about the purchasing industry so you can get the best prices on all the food, office supplies and other resources that you need for daily operations. However, most administrators for Head Start programs have a background in children and education – not in sales and purchasing. As a result, there are several areas where overspending occurs, simply because administrators don’t have the time or the tools to spend researching, negotiating and shopping around to get the best prices available that will help them make the most out of their budgets. 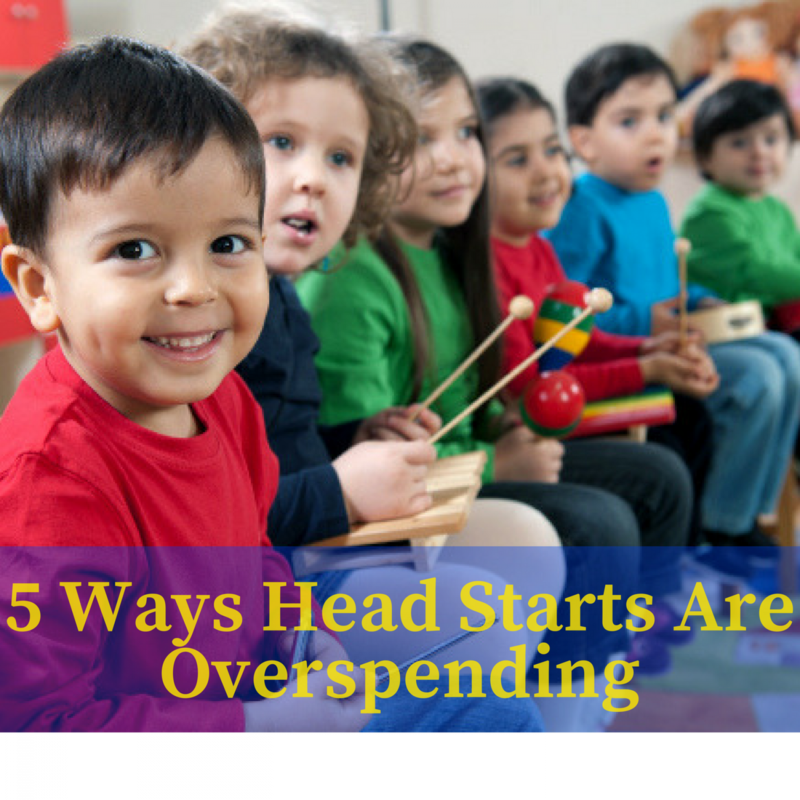 In this article we will focus on the areas where Head Start programs have the most instances of overspending. We will also talk about the resources available to help these administrators to get the very best rates for all of their office supplies, food and day-to-day resources that are required to operate a Head Start program. By taking a closer look at each of these areas and offering viable solutions, the goal here is to help administrators identify the issues, reduce spending and maximize their budgets so they can offer a more effective and beneficial program to the children and families that depend on them. This is perhaps one of the largest expenses associated with running a Head Start program in our country today. Local communities benefit by the meals that are offered to children through this program, so proper nutrition and the quality of the food that is served is very important. The day-to-day operations of a Head Start program include making sure that the facility is clean and in proper working order. Janitorial supplies, such as cleaning products, mops, buckets, paper toiletry products and other related items can all add up very quickly, especially with a lack of purchasing power. A lot of paperwork and processing of paperwork is required to effectively run a proper Head Start program. As a result, many office supplies are needed to assist the administrator and staff in all of the required record keeping, application processing and organization. Everything from pens, pencils, printer ink, copy machines, computers, paper and much more fall into this important category. As you might guess, Head Start programs are also required to carry an insurance policy to cover any liability, damages or incidents that might occur. Insurance can be very expensive, taking a large chunk out of the annual budget. Another essential expense associated with running a Head Start program, waste removal is another area where costs can quickly add up. This isn’t an area where price negotiation typically occurs, leaving administrators charged with just paying the required fee according to the local going rate. Large programs and school districts have a distinct advantage over local Head Start programs in that they have something known as purchasing power. The power of sheer numbers allows them to negotiate prices on food, office supplies, janitorial supplies and much more. Most Head Start programs don’t have this type of purchasing power, meaning that they are stuck paying much higher rates for food and other supplies than other educational programs and services. Relying on the sales representative that works directly for the company that you purchase your supplies from can be dangerous. Most sales representatives make a commission or profit off of their customers, giving them no incentive to find their clients lower prices and better rates on the products they purchase the most. Because most administrators have little to no experience working with the ins and outs of the purchasing industry, they get taken advantage of by businesses and sales representatives quite frequently. Instead of trusting a supply company or sales representative to get administrators the best possible prices on food and other supplies, Head Start programs should instead rely on a company that works to reduce spending and guarantee pricing. Food Source Plus works directly with Head Start administrators to guarantee the best pricing on all of the food supplies needed to provide healthy and nutritious meals to the children that are enrolled in their program. In addition to food supplies, SupplySource can guarantee Head Start programs with the best possible pricing on office supplies and janitorial supplies to help keep the day-to-day operations of their facility running safely and smoothly. By using professional resources like Food Source Plus and Supply Source, Head Start program administrators can get back to what they do best – providing a valuable program for the children and families of their community.